Global Green USA will welcome celebrity guests and leaders from the Hollywood, business and environmental communities at its 14th Annual Millennium Awards on Saturday, June 12th 2010 at the Fairmont Miramar Hotel in Santa Monica, CA. Lisa P. Jackson, Administrator for the US Environmental Protection Agency, will deliver the evening’s keynote address. The U.S. Environmental Protection Agency (EPA), which will receive the International Environmental Leadership Award marking their 40th anniversary as a federal agency, and whose role in reducing greenhouse gas emissions is critical and growing. The University of California System, whose President, Mark G. Yudof will accept the California Environmental Leadership Award for the UC System’s expansive leadership in constructing green buildings on their campuses, and other climate change initiatives. The W Hollywood Hotel & Residences, represented by Marty Collins of Gatehouse Capital, who will receive the Green Building Environmental Leadership Award for the newly opened and first LEED certified hotel in Los Angeles, which is built above a metro station in Hollywood. 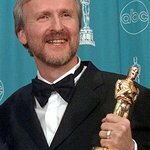 James Cameron, who will be awarded the Entertainment Industry Environmental Leadership Award. Global Green USA’s Board of directors has also decided to bestow the Founders Award upon their President and CEO, as well as co-founder, Matt Petersen, who has led the organization for 15 years. 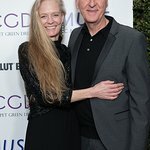 Global Green’s 14th Annual Millennium Awards is chaired by Bob Bucklin, Leonardo DiCaprio, Jim Gianopulos, Tom Roell, Tom Rothman, Diane Meyer Simon and co-chaired by Sebastian Copeland, Salma Hayek, Zem Joaquin, Lyn & Norman Lear, Pat Mitchell & Scott Seydel, Ann & Jerry Moss, and Lynda & Stuart Resnick. The Millennium Awards acknowledge and honor individuals whose lives and careers exemplify Global Green USA’s mission of “fostering a global value shift toward a sustainable and secure world.” The event raises funds to support the organization’s initiatives to rebuild a green New Orleans; to create green affordable housing and green schools in Los Angeles, throughout California and nationally; and to continue to advocate for innovative and effective policy initiatives to combat climate change. For more information or to purchase tickets to the 14th Annual Millennium Awards please go to www.globalgreen.org/millennium.